I got my chandler strawberry plants from Lois’s produce in the tidewater part of Virginia. They came out beautiful and healthy in the spring a short 6 months after I had planted them in the fall. This is the way the commercial growers do it. Grow them for one short season then rip them out of the ground because they are so prone to disease. The driveway leading up to Lois’s produce is lined with a ditch on one side and fields of overripe tomatoes on the other. Out front a 1958 rusted Allison Harvester tractor marks the entrance to the farm. Turn left from the driveway and there sits a line of old refrigerated tractor trailer truckers, called “reefers”, a pesticide sprayer, and an old van used to haul produce to the farmers market. The main building here among the tangle of sheds, shacks, and greenhouses was a double wide mobile home trailer. An old blue tick hound land in the sand out front of the office swatting away flies with his tail while an air conditioner hummed audibly. Inside the office at Lois’s produce Lois Allensworth sits behind her desk. It is covered with bills from the chemical man and farmer’s cooperative. A calendar from 1968 hangs on the wall. The desk is a metal ordinary green desk with a calculator and seed catalogues and technical literature from Virginia Tech, Cornell University, Rutgers, and the University of Maryland. These are schools that provided agricultural extension support to the farmers in the Mid Atlantic Region. Lois sat back in a chair that squeaked as she turned to the door to face her husband Gary as he walked in the door. He is a tall fellow about 6 feet two with gray hair and weathered skin that has been wrinkled from long days looking up to the sky. Like the clichéd view of long married couple he and his wife looked fairly alike. And like another cliché they looked a little like their dog who raised one lazy ear and eye to see who was coming onto the farm. Bored at what he found, he rolled over and went back to sleep in the lazy sunshine. The cicadas sang and filled the air on this hazy august day in the Northern Neck region of Orange County. Across the distance lay the Rappahannock River from which Lois irrigated her fields except on years where drought was severe in which the salt from the Chesapeake Bay made the water in the river unsuitable. Lois and Gary farm 120 acres of vegetables on land that has been in Lois’s family for 4 generations. They sell their produce to a wholesalers association which in turn sells produce to Giant and Safeway grocers. Lois and Gary had built the wholesalers association together with 15 other farmers with a grant obtained from the state. While many of their neighbors had giving up on produce in favor of row crops like soybeans and corn or tobacco Lois and Gary continued to earn a generous living with vegetables even if they characterized farming as “warfare”. Gary explains that lots of big growers pick the fruit even earlier when it is unripe. They put them in a chamber and then apply nitrogen or other gas to make them turn orange so they appear ripe. This produces tasteless, firm tomatoes. Gary farms his tomatoes using what he calls the “extreme weed” approach which means he uses the hoe, herbicides, and manual labor to keep out the weeds. These means he uses no plastic mulch. Plastic is used to keep weeds out of the crop and to warm the soil to produce an earlier crop. But plastic mulch is expensive and moreover is a point of criticism for the organic and local harvest crowd who criticize the use of this petroleum byproduct. For Gary he steers way from mulch not out of some ideological zeal. Rather is costs too much. He says, “There is a point where you have to determine whether it is worth it. Virginia Tech says it costs $11,516 to plant and harvest one acre tomatoes if you use mulch. For us it is about $6,000 per acre which includes the cost of the fertilizer, the spray program, the stakes, and labor”. Tomatoes are a labor intensive crop. Each plant is worked like a grape vine---it must be staked and tied and suckers popped off. And an automatic harvesting machine is prohibitively expensive so boxes of tomatoes are harvested by hand. The tomatoes grown on the farm here are the hybrids so popular with growers and the average buyers. These were cross bred for extended shelf life and reasonable taste but even when picked ripe they do not have the succulent taste of the so-called heirloom varieties whose vines tend to sprawl rather than grown uniform and tall like the beefeater and other varieties. Geneticists have stepped into the debate over what tomato tastes best. One of the first genetically engineered crops was the Flavor-Savor tomato. It was supposed to last longer on the grocer’s shelf and thus be able to be shipped long distances. But it was a financial flop and it did not taste much better than regular hybrid tomatoes and worse it did not even last much longer on the shelf. Another mainstay at Lois’s produce is sweet corn. Most people do not realize that 95 percent of the corn grown in the USA is not suitable for human consumption. This is called seed corn and it’s grown as feed for cattle and hogs and increasingly to make ethanol. But this corn is tough--kind of like the so-called “Indian corn” that people use to decorate their houses with around thanksgiving. Sweet corn like strawberries are products of selective breeding and are much different from their genetic ancestors. Much of the corn that people eat is bred and genetically engineered to push the plant to produce lots of sugar. Such technology is not given away for free and so-called “triple sweet varieties” made by companies such as Syngenta are patented. One problem with growing corn is the number of pests that attack it. Deer love it. Raccoons are perhaps the biggest problem for the backyard gardener. But a bigger menace is a smaller creature: the worm. Much has been written about so-called genetically engineers Round-Up Ready corn meaning corn that has been genetically engineered with the ability to tolerate the glysophate herbicide. This lets the farmer no-till his soil, thus cutting down on soil erosion, mow down the weeds with mowers or herbicides, sow his feeds, and then spray Round-Up over the top of the plants after the corn gets up a few inches. Because the corn is Round-Up Ready it thrives while the broadleaf weeds and grasses die. Thus the corn is free to grow without competition for water and nutrients---mainly nitrogen---from fescue, morning glories, lambsquarter, pigsweed, and other. Another type of genetically engineered crop is BT corn. This is corn that is cross bred to include genes from the bacillus thuringiensis or “BT” bacteria. BT is popular with organic farmers so one wonders why the organic farmers are opposed to this type of genetic engineering. BT has been used by farmers worldwide for more than 100 years. It is a bacteria that when consumed by worms literally eats them from inside. The bacteria multiply inside the worm and then eat their way out of their host. So the worm dies. But BT corn is no panacea. The problem is the worms—corn earn worm and beet army worms--start at the silk of the corn and begin to eat the growing ear. It takes some time for BT to do its magic. The result is the end of the ear of corn is full of holes. Lois says buyers in the grocery store every time will choose the chemically farmed ear of corn which has been sprayed with pesticide because it can be free of any blemishes at all. The organically-grown corn will have had its end gnawed off unless something beside BT is used to protect it. Gary explain that at, “This time of year [August], the worm pressure in the mid Atlantic, you cannot stop it.” Even with a regular spray schedule once the worm gets down inside the ear of corn the spray does not touch it. So it eats its way to the farmers ruin. The other difficulties with corn include its thirst for water. Lois says, “You can’t afford to grow corm with irrigation. You cannot afford to grow it without irrigation.” By this she means drought will stop the corn from developing marketable sized ears and the cost of irrigation means you can hardly make a profit. There are two types of irrigation: drip and pivot. Drip means the field is rigged with hoses, regulators, and valves that drip irrigation onto the field until the soil is saturated. But that is done mainly for grapes, strawberries, tomatoes, and other crops. With corn more common is the so-called “pivot”. This is a giant arm that rides on huge tires across the field powered by a diesel engine or three phase electricity. Diesel of course is expensive and three phase electricity is not available in all rural areas. Gary and Lois told a funny story about a farmer who use the pivot. He forgot to watch his equipment and came back the next day to find it had driven itself into the woods. Gary makes me laugh when she says, “The worst worm to control of all is the beet army worm. I have seen them one time in my life that they came out of a bean field and crossed the highway and there was so many it caused a wreck.” I can attest to that—in my greenhouse they are so thick that the ground is covered with green spots where my son and I have squashed them. These horrible menaces that work in large numbers can defoliate a tomato plan in just a couple of days. Driving around the farm looking at fields Gary says, “I got a field of tomatoes here that’s nothing but stalk. The tobacco horn worm eat it all up.” He says you can kill a tobacco horn worm with a pesticide called “Warrior”. But if you overuse Warrior or other pesticides you will have a problems with mites because it kills the insects they normally prey on them. “I’ve had it on string beans,” he says. Like the growers in California Gary and Lois fumigate the soil with a gas called ethyl bromide when they plant strawberries. Farmers are looking for a substitute since ethyl bromide has recently been banned by international treaty since it is blamed for ozone layer depletion. Ethyl bromide Gary says, “Sterilizes the soil. It will control soil born diseases.” He paid someone else $2,400 per acre to apply the chemical. They inject the gas into the soil then put down plastic mulch to hold the gas in place long enough for it to work. They do this for their strawberries saying, “We do plastic culture strawberries which means you plant them in September, you harvest them in the spring, and you destroy them and start over next year for disease control. We grow chandler strawberries.” They buy small plants from a nursery in Virginia that are certified disease free. Deer are a problem for the strawberry crop. He says least year he put floating row covers on them because the deer were eating them up. The side affect of this was it warmed up the fruit so they were able to bring the fruit to market a bit earlier in April. He tried twice to plant cucumbers that year. We have not been able to plant cucumbers this year. I planted them too early. The first crop died. He planted them a second time and then they had a long dry spell and they too died. Gary tell me that powdery mildew is a major problem in squash. This is a big problem for grape growers as well. Gary says that the vine is almost mature and then the powdery mildew causes the squash to be tapered on the end or discolored. This is why conventional farmers using chemicals---to control such diseases. I leave the farm with a basketful of elephant garlic to plant in my own garden. Gary and Lois have their garlic laid out on a table in a greenhouse where it is drying. The heat in there is stifling. You plant garlic in the fall and harvest them 220 days later. I had gone to see Lois and Gary so I could document how conventional farmers use farm chemicals and to compare this with what I was doing with my grape farmer. So when I got home I looked up technical literature on the chemical Warrior that Gary had mentioned. The literature says the insecticide Warrior contains the synthetic compound pyrethroid which is similar to the natural chemical pyrethrin. Organic farmers use pyrethrin but not pyrethroid since that is manmade which would violate the rules of organic farming. The Warrior product brochure from Syngenta says, “Centuries ago Chinese farmers made an insecticidal powder by grinding up chrysanthemum flower petals, which contained natural pyrethrin insecticides. Scientists isolated pyrethrins in 1910, and synthesized the first pyrethroid—a laboratory analogue of pyrethrins---in 1945.” It is a broad spectrum pesticide meaning it targets most insects including the beneficials. For this reason Syngenta has added a chemical which repels bees. Pyrethrin is rapidly broken down by sunlight so its impact on the environment is slight. Warrior is a restricted use pesticide which means you need an applicators license to buy it. The product label says “may be fatal if swallowed” as well as “This pesticide is extremely toxic to fish and aquatic organisms and toxic to wildlife.” That’s fairly shocking for something that comes from something that comes from nature. But there are lots of natural products that are toxic like arsenic for example. This is why you have to go beyond the hyperbole to find out what is truly better: organic farming or chemical or some wise combination of the two. Cornell University is a land grant college or one of the colleges that was founded specifically to assist the farmer. Literature at Cornell hints at the subtle difference between organic and chemical farming. It says, “Piperonyl butoxide (PBO) is a common synthetic synergist that reduces an insect’s ability to detoxify pyrethrum. It is added to most pyrethrum products. Piperonyl butoxide is not allowed under the National Organic Program. Care should be taken not to use pyrethrum products that contain prohibited synergists.” An example of a pyrethrin based pesticide which contains piperonyl butoxide is Raid, which is something almost everyone knows. Back at my own farm as I write this the Chandler strawberries I got from Gary and Lois have been in the ground now for the second season and are starting to sprout flowers which will produce fruit. At Lois’s produce they would have already been ripped from the ground. But my 100 strawberry plants are just for me and my family. I could care less whether they are blemished by botrytis or disfigured by powdery mildew. But as Gary and Lois point out the consumer is used to perfection. I don’t plan to spray my berries with any chemicals so I expect some rotted fruit. Think of that next time you eat a box of pristine huge strawberries that are grown in the Salinas Valley of California and then trucked across county to your grocer. Jay Hundley farms 6,000+ acres of soybeans and corn and he does it all with 6 people. As he explains it the only way to make money farming row crops is to grow your business, grow some more, and then grow again. Farming here in Essex County is barely profitable which is why you have to farm on a large scale to be profitable. Unlike the county where I live agricultural property here is taxed at the same rate as any other plot of land. Landowners here rent their farms to working farmers often for a fee that will just pay the tax bill. But with taxes going up here that business proposal becomes untenable for the farmer who might make $25 per acre for corn or soybeans after paying roughly that in seed cost to the multinational seed companies. But Jay does not pay royalties to the seed patent holder. Rather Jay grows for the seed companies themselves. The great majority of the soybeans and corns grown in the USA are genetically engineered by companies like Monsanto and Syngenta. Contrast that situation which Europe where green political parties have managed to ban genetically engineered crops and have even torn out such crops by hand as a means of protest. The Japanese are less militant yet they like their tofu made with organic soybeans. One local farmer here in this part of Virginia is planting solely for that market. The crops grown by most row crop farmers like Jay are called “Roundup Ready”. This means they have been engineered to tolerate this herbicide which was invented by Monsanto. Monsanto is the agribusiness organic farmers and environmental activists most love to hate. One reason for this is they have such a lock on the market as no other herbicide is so effective yet so gentle on the environment and people. Roundup is so popular in part because geneticists have figured out how to engineer plants so you can spray Roundup right on top of them killing all the weeds underneath yet the corn or soybeans are not affected. Another kind of genetically engineered crop is called “BT”. A particular problem for corn growers is the European corn borer. This lepidoptera descends on the silks of the corn and then eats its way into the ear drilling holes in the kernel. It can also bore a hole in the stalk and make it fall over in the wind. So the scientists have bred seeds that include the bacteria bacillus thuringiensis or “BT”. This is a naturally occurring bacterium that the corn borer ingests and then the BT begins to eat the borer until it starves to death. One might think that this would make the organic growers happy who themselves use BT products like Dipel. Yet here is where the goals of the organic movement would appear to conflict with their tactics because BT seeds reduce pesticide use in the corn crop. Instead the activists exaggerate and say this corn plan produces its own “pesticides” invoking images of a plant which is dangerous to ingest for humans. But BT is perfectly safe for humans and has a zero preharvest waiting interval. It would be unfair to target conventional farmers and say they are not friendly to the environment without looking at some of the issues they face. Certainly Jay loves the outdoors for he lives on a river where he can hunt ducks and play with his kids and his dogs. He says, “When I got out of high school all I wanted to do was farm.” Then he adds that criticism of GMO plants is without basis in fact and comes from people who are “afraid of change”. Echoing a refrain heard from conventional farmers he says, “Roundup Ready has cut the chemicals that we have to spray way down.” And as for soil erosion he practices no till farming. Perhaps 20 years ago corn and soybean growers quit plowing their fields in favor of no till farming. This means they use the brush hog, the combine, or herbicides like paraquat to cut down the previous crop and then drill the seeds into what is left behind. This idea behind this is to keep soil erosion at a minimum. Bare soil, especially on a hill, is subject to erosion by wind or rain. Contrary to popular conception phosphorous does not leach into the ground water to pollute the bays and streams. It has a positive electrical charge so it clings to soil colloids which have a negative electrical charge. The reason that phosphorous could end up in the bays and rivers is soil erosion. So no till farming is one way to lessen this effect. Another criticism levied at conventional farmers is that corn in particular requires lots of nitrogen. The most widely used source of nitrogen is produced using natural gas to force nitrogen out of the air. So it requires fuel which of course we get from such friendly and stable governments like Iran, Venezuela, and Nigeria. Nitrogen applied to the soil releases ammonia gas into the air, nitric oxide in the ground water, makes the soil more acidic, and kills soil microbes. Organic farmers prefer poultry manure, urea, incorporating cover crops, and other forms of nitrogen that are not petroleum based. Some plants make their own nitrogen. These plants, like soybeans, clovers, vetch, and alfalfa fix nitrogen in the soil by taking it from the air. 80% of the air we breathe is nitrogen. So when farmers plant soybeans they are adding nitrogen to the soil without using up precious natural gas. This is main reason that most growers like Jay rotate their crops between soybeans and corn. Jay farms corn, soybeans, wheat, and barley. Standing beside his $300,000 John Deere combine which uses GPS and moisture sensors to track its way across the field and decide what to harvest he says that he sells some seeds to Purdue, the poultry producer, just across the Potomac River in Maryland. “They will crush it and get the oil out of it and the meal.” Finally he also grows a little alfalfa which he bales and sells to horse owners. Horses are not the only creatures that like alfalfa. Leaf hoppers will devour it wholesale so Jay sprays it with insecticides each times he cuts it. As for the remainder of his spray program he uses Roundup, obviously, and the decades old herbicide 2-4D. He says, “2-4D is better on some of the broadleaf weeds. Roundup is a little weak.” But 2-4D is a little too effective and can drift in the heat of the day onto bushes and trees and wound or kill them. Grape farmers are advised to warn their neighbors several hundred yards away not to use this powerful defoliant. After growing corn and soybeans for the growing season Jay plans barley and wheat the first of October. It goes dormant in the winter and the starts to grow again in the spring. These cover crops help with soil erosion and to retain soil moisture. Moisture is an issue for Jay as he shows me an irrigation system that slowly rotates across a 90 acre field. He cannot use this system everywhere he farms because in this rural corner of Virginia not all areas have the three phase electricity required to power this lumbering behemoth that slowly arcs across the field on tires as tall as a human. At another field 20 miles down the road Jay shows me a soybean field he leases from an absentee landlord who lives in Germany. This field he says will be a total loss this year because of the drought if he does not get some rain in the new couple of weeks. I ask Jay about his fertilizer program. He says that he puts down lime every three years and takes soil samples every year. Nitrogen and fertilizers lower the PH so this is why it is necessary to continually add more lime. He says “If you don’t keep the PH right the plants cannot use the fertilizer.” He uses NPK fertilizers, obviously, but also pays attention to and corrects the level of manganese, zinc, and copper buying his fertilizer from Southern States whose local office also sells biodiesel fuels that he can use in his tractors, combines, and heavy trucks. He says soybeans only need additional nitrogen early for the first crop of the spring which he calls “early beans”. These don’t start to fix nitrogen to the plant until there is a full canopy of leaves. Corn is planted in rows that are 30 inches apart and soybeans 15 inches where the liquid fertilizer is put down right beside the plant. Los 65 acres de potreros y bosques de Rosewood Hill Farm, están ubicados a una hora y media de Washington, D.C. en el Condado de Rappahannock. Vendemos chivos alimentada con pasto, en los mercados ganaderos del Norte de Virginia y en nuestra finca. ¿Sabía usted que la mayor parte de carne de cabra que se vende en el área de Washington es de cabras criadas en lugares tan lejanos como Texas o Australia? Allá se las alimenta con pura proteína y paja y luego son puestas en un camión para recorrer varios miles de millas para cruzar el país, utilizando grandes cantidades de petróleo. Comprar carnes y vegetales cultivados en la zona es mucho mejor para su salud y para el medio ambiente. Nuestras cabras son tratadas con consideración y son felices jugando en la pradera, masticando el pasto y las enredaderas. Nosotros no les damos hormonas de crecimiento o antibióticos a nuestras cabras, porque nosotros creemos que usted tampoco debería consumirlos. La mayor parte de las haciendas de Virginia crían ganado, pero la carne de cabra es la de mayor consumo en el mundo, por lo tanto tiene sentido que los ganaderos locales provean de carne al gran número de latinos que viven aquí. Eso es lo que hacemos; también hablamos español. يقع بستان « روز وود هيل » في مقاطعة « راباهانوك » على بُعد ساعة ونصف من واشنطن دي سي ، وتبلغ مساحته 65 هكتاراً من الأراضي الرعوية والغابات . نبيع لحم الماعز المغذى على الأعشاب في سوق المزارعين في شمال فرجينيا بما في ذلك اللحم الحلال . هل تعلم أن معظم لحم الماعز المباع في منطقة واشنطن يأتي من ماعز تربى في مناطق بعيدة مثل تكساس؟ هناك تُغذى هذه الحيوانات على البروتين الخالص والقش ثم تشحن لعدة آلاف من الأميال عبر البلاد وتكلف كثيراً من البترول. إنه من الأفضل لصحتك وبيئتك أن تشتري لحوماً وخضاراً محلية. نحن نعامل الماعز بلطف حيث يلعب في الهواء الطلق ويتغذى على الأعشاب والأحراش. نحن لا نعطي الماعز أي هرمونات للنمو أو مضادات حيوية لأننا على يقين أنك لا تريد أكلها أيضاً . إن معظم البساتين في فرجينيا ترعى الماشية ، ولكن لحم الماعز هو اللحم الأكثر استهلاكاً في العالم ، لذلك فإنه من الطبيعي أن يزود المزارعون المحليون الأعداد الكبيرة من المسلمين المقيمين هنا باللحم ، وهذا ما نفعله . نحن نفهم ونحترم عاداتكم ، ونود أن تكونوا من زبائننا . أرسلوا لنا طلباتكم عن طريق « الإيميل » ، أو ابحثوا عنا في سوق المزارعين في مقاطعتي «هرندو » و« ليسبرغ » . Every few weeks a poultry auction is held at the Agricultural Enterprises auction lot on highway 29 South of Culpeper near Prince Michel Winery. This word “Enterprises” is perhaps too ambitious for this modest affair since it is no more than a barn with sawdust on the floors and wooden bleachers well polished by the rear ends of auction goers from many years hence. On this March 2nd day it was freezing cold outside and not much warmer inside since the auction building was really just a barn with hay on the floor and chickens, rabbits, guinea hens, doves, turkeys, and roosters piled atop one another in cages. Outside there were lots of metal stalls where cattle are ushered towards the auctioneers gavel. A lady with her child in a stroller stood in front of the only heat which was a propane jet. She parked her wide carcass there for hours and denied the rest of us any measure of comfort. They called this affair a “poultry auction” but any small animal could be sold that day so there were young pigs, small goats, turkeys, doves, rabbits, and of course chickens and even chicken eggs both for eating and for putting in the incubator. Goats of all sizes and colors were penned up outside. A wagon full of pigs were bleeding in the ear their ears having just been pierced so that a tag could be inserted. Farmers lined up in their pickup trucks to drop off animals including one sheep with three horns that too was bleeding from the ear. Auction goers registered to bid by showing their drivers license and phone number where they picked up a number they could use to make bids. A deeply tanned large fellow moved through the crowd barking for people to get out of the way as he pushed his way through with a wire cage full of pheasants. The auctioneer powered on his headset microphone, made introductory comments to the crowd, and asked parents to watch their children and not let them open the cages least the animals escape. One plump boy with red cheeks did exactly that and a raucous rooster darted across the floor where one of the men working there cornered him and picked him up with one deft move. Then another rooster preening for the hens rocked his cage back and forward and tumbled to the ground in a flurry of feathers. Most of the men wore camouflaged jackets and their wives pullover sweatshirts and no makeup. Obviously these women did not care whether the paparazzi were there to snap their picture today or not. With their hunting regalia these men might have spent the morning hunting deer except that deer season is not open in March—it was simply what they preferred to wear. In rural Virginia this is normal; do that in suburban New Jersey and someone might call the police. Most of the people here were burned by the sun from working outdoors. There were all sorts of sharply angled faces, gnarled fingers, stooped shoulders, cowboy boots, cigarette stained fingers, and coveralls. The people here were genuine country folk who had come out of the various hollows and hills, farms and small towns in Culpeper, Madison, and Orange Counties. How can I write this delicately without appearing elitist? I mean to say that if this was a novel by Dostoevsky they would be serfs and I would not exactly be an aristocrat nor an overseer but rather someone like an officer in the dragoons--in other words someone who had grown up in easy circumstances. I have never known hunger and when I need something I buy it. I have never bought anything on layaway or taken a payday loan or borrowed from a pawn shop. I have never been without health insurance or driven a car whose broken window is taped over with plastic because I did not have money to buy a new one. I’ve never been to a laundry mat where those who cannot afford $600 to buy their own washer and drier wash their soiled undergarments in full view of others. But here in this crowd some of these people probably have done a lot of these things. I sat there feeling guilty for harboring these emotions. Yet at the same time I felt a kind of elation that my journey into this aspect of agriculture had brought me in touch with people for whom this was not just some idle hobby. These were working men and women many of whom had farms who had brought some of what they raised for sale here today. There were not the weekend hobby farmers and absentee landlords whose rolling acreage are not given over to corn and hogs but expensive horses or exotic animals like zebras who eat expensive hay some of it trucked in from the Midwest--most of the fescue grass growing here is scarcely digestible to anything but the lowly cow. One old man who moved slowly with a cane complained that the average people here can no longer afford the land. So they work as mechanics, mowing lawns and planting bushes, clerks in retail, at the hospital, in any sort of job to pay for their part-time farming while their real dream is to work as farmers or simply live in the country. I sat next to a fellow who I was pleased to find out was a fellow goat farmer: David Jenkins. Mr. Jenkins was eager to talk about his goat business and I was eager to listen since I still had not figured out how to make a profit in this business nor had any other goat farmer I had talked to. I had noticed his wife had bought some guinea hens and some doves. He told me she kept the doves because she liked to and the guinea hens were noisy watchdogs. If you have never heard a guinea hen their call is piercing and horribly loud. The hens were the only thing in the room louder than the auctioneer and someone reached down and turned up his volume so we could hear. Mr. Jenkins told me that, “Everything on the farm has a purpose”. The guinea hens were loud and raucous during the day to keep predators away from his goats. But the guineas hens at night flew up in the trees to roost which was when his gaggle of geese came on patrol with their noisy honking. He also kept donkeys which have a natural dislike of dogs. He kept tall llamas too because they also made good guards. And like myself he had a Great Pyrenees livestock guard dog for he said, “You need something in every paddock”. I had begun to get over my guilt at looking at these proletarian people when Mr. Jenkins told me something that made my heart sank. I had felt this same emotion when I read the final scene in John Steinbeck’s novel of poverty “Grapes of Wrath”. He told me I would be surprised how many of these people were buying these animals for food—as for myself I had come to buy my son a pet rabbit, I did not need any more chickens and certainly none to cook. It seemed rather pathetic that people would have spent so much time out in the cold to buy a few chickens or a few dozen eggs on the cheap when it would have simpler to buy them at the grocer. Finally after 6 hours of waiting the auctioneer got around to the rabbits and I bid $10 and we left. The next weekend the auctioneer’s automatic dialer called my home phone to tell me of another auction. I guess serfs do not have email. To make a proper survey of organic farming one needs to look at biodynamic farming for one is an extension of the other. When I first looked at biodynamic farming I was skeptical because some of its ideas are downright wacky. Later I embraced some of its concepts but not all of them. Biodynamic farming is based on a series of lectures given more than a hundred years ago by Rudolph Steiner. The Austrians were concerned that their farms were losing productivity so they asked Mr. Steiner to take a look at ways to improve soil, plant, and animal fertility. Mr. Steiner in turn took at look at practices that peasants had been using for centuries and put together procedures and developed plant nutrients to harness their experience. The ideas that he developed have been come to known as “biodynamic farming”. Biodynamic farming is basically the same as organic farming with two added concepts. The first says there is an optimal time to plant seeds or harvest plants based upon the phases of the moon and position of the sun and stars. That the tug of the moon’s gravity exerts an influence on the tides is obvious. But biodynamic farmers believe this gravitational force also has an effect on agriculture. As there are times when the spring tides are high, there is a time when the soil is optimal for cultivation. The second pillar of biodynamic farming is based upon the use of compost. This is not regular compost used by organic and conventional farmers alike. Rather this compost has been treated with various biodynamic formulations—stinging nettle for silica, valerian to capture cosmic energy--designed to improve plant health. These are buried in the ground in the stomach of a deer and then tossed into a vortex to spin so they can soak up cosmic energy. This is the part of biodynamic farming I found a bit silly. Still I use stinging nettle on my watermelons because watermelons need silica and stinging nettle is loaded with that. Doug Whipple operates a biodynamic farm only a few miles from my house. So I went to pay him a visit. When I first pulled into Whipple’s Biodynamic Farm I thought the big burly fellow who was working on the mowing deck of a tractor was the hired help. But this scruffy looking fellow was Mr. Whipple himself working in the front yard. His Hungarian wife, Gabriella, was out front cleaning radishes, dill, and red iceberg lettuce for delivery to customers that had enrolled in the Whipple’s CSA (community supported agriculture) program as subscribers. Their tiny daughter Lilly was running around the yard completely naked except for chocolate stains all over her face. Doug is an attorney who spent nine years working in Germany which is presumably where he met Gabriella, a brown eyed European beauty with a French accent. When I saw his giant house whose living room, my son pointed out, was bigger than my own house I thought his must be another hobby farmer playing at agriculture. But as I got to know Doug Whipple I learned that he was serious about his craft. His healthy heirloom vegetables are a testament to his skill in the garden. We walked down the hill to his vegetable farm, past the young oak trees whose roots were inoculated with truffle spores, past the irrigation pond, and past the barn where the farm intern worked, and down to his garden of sweet corn, tomatoes, eggplants, beans, radishes, beets, carrots, lettuce, tomatillos, and beans. Here in the middle of whitetail deer country there was no electric deer exclusion fence. Doug explains that they use the recording of a mountain lion in lieu of a deer fence. Gabrielle laments that, “It does not work for rabbits”. I asked Doug questions about plant disease problems since organic farmers do not use chemical pesticide to control them. Doug explained that tomatoes have problems with ring spot and tobacco mosaic virus. As for other maladies, he says he takes care not to water them much because that makes fungal problems worse. He said that pepper plants are susceptible to leaf spot which is a bacterium. Other problems include anthracnose which is a problem for corn and grape growers as well. Asked about his pest and fungicide control program he says, “I try and do nothing”. Doug says the goal with biodynamically grown vegetables is to make them healthy so that they can use their own defenses to ward off disease and pests. He says “Biodynamic farms make healthy plants” and counsels to “avoid conditions that create fungus”. He says late blight is a big problem on tomatoes and “can wipe them out”. For that he uses copper and hydrogen peroxide which are both listed as organic. He buys foliar sprays from Peaceful Valley to raise the brix (sugar level) in plants. He also sprays epsom salts onto his crops to raise the level of magnesium. I use epsom salts as well in the vineyard. Most of the problems he has are insect related. He says, “If a plant gets stressed, aphids come in. We spray them with dish washing soap.” For flea beetles—which chew tiny holes in the foliage—he uses neem oil which comes from a tree grown in India. Explaining his pest control strategy he says, “A lot of it is in the seed you buy”. He collects these seeds from plants and uses them again the next year. That is one of the principles of biodynamics. Conventional farmers know that as well. On my farm I replant elephant garlic because the plants are supposed to be able adapt to the local conditions. I have always found it interesting that each vegetable has its own pest often named for the plant on which they live. So it is with the Colorado potato beetle which feeds on, obviously, the leaves of potato plants. It looks like a lady beetle except it has stripes. To control these you can see one reason why organic produce is more expensive than produce which is conventionally grown. Doug protects his potato plants with floating row covers which are kind of spun cotton tents tossed over each row of plants—they are so light that they literally float above the plants. These keep out pests but are obviously expensive. They also protect plants against frost damage down to 27 degrees Fahrenheit which is an added benefit. The farm here is crisscrossed with irrigation hoses that Doug and his intern move around all day long. It is especially important for the many varieties of lettuce grown here which Doug says need watering every day least they turn bitter. The irrigation system is gravity fed from a pond. For weed control he uses paper and plastic mulch. Since plastic is made from the petroleum—petroleum is the target of ire for organic farmers--Doug prefers to use 3 foot wide craft paper and straw. He puts down mulch and then pokes a hole for the seed. He uses a mulch layer machine to apply the mulch and bury the edges in dirt. Doug also does not like grocery store milk for it is pasteurized. (Pasteurized milk is heated to 150 degrees for a few minutes to kill off any bacteria. Some say this kills of flavor and nutrients too.) Milk which is not pasteurized is called “raw milk”. In Virginia it is illegal to sell raw milk so Doug has bought shares in a dairy cow. Raw milk cheese is available in Europe and Canada and in pricey grocery stores like Dean and Deluca. For insect control Doug plants buckwheat whose flowers attract beneficial insects like aphid-eating lady bugs. He says they soak up phosphorous from the soil which is turned back into the ground when you till it in. For cover crops he uses winter rye and winter peas. Winter peas put 200 pounds of nitrogen in the soil per acre if you till them in when they flower in May. For fertilizer uses a blend of kelp and ground up fish. I find that winter rye is good because you can dig a row right into the grass and then plant young plants thus having instant mulch. But winter rye inhibits germination of seeds so know that if you plan to use it. At Whipple Farm tomatillo is grown on trellises consisting of two strings tied between stakes. This like the heirloom tomatoes he grows have a much better taste than the hybrid tomatoes sold in the grocery store whose main redeeming value, say the critics, is they can survive the long trek from Florida and California farms to the East coast. He also grows a form of artichoke called “cardoon”. Farmers who grow heirloom vegetables says growers have a responsibility to these living bits of history for if there seeds are not handed down from one generation to the next they would become extinct. This is why they are called “heirlooms”. Heirloom tomatoes often have odd shape and color but they have decidedly superior flavor. “As for fungicides, pesticides, they are used when needed on our farm. The goal is to get the plant healthy enough to not need them, and each year we get closer. My basics for farming are Serenade Max and H2O2 for fungus (separately, not together; H2O2 also increases the effectiveness of just about anything and is also mixed with my nutritive foliar sprays since it assist the plants in absorbing the nutrients), and Serenade is used with fish oil as a sticker; the fish oil is good for the plant. We’ve got some early blight in our tomatoes right now, and I’m spraying them with Serenade this week, and H202 next week. “For insect problems, I use Dipel for worms, also with the sticker. If we have a severe outbreak of flea beetles, or potato beetles then I hit them with a combo of Rotenone, dish soap, H2O2, and Diatomaceous earth. I don’t like using Rotenone, since it’s broad spectrum, but it’s the only thing that works fast. Mixing with the H2O2 means I only have to use about half the recommended dosage. “Finally, the worst critters are the squash bugs. They destroy the Zucchini and mark up the tomatoes. And they are very difficult to kill. For them, I use the same thing as for flea beetles, but with less Rotenone, more diatomaceous earth, and more H202. “With vegetables, late blight is rarely a problem unless you have a really wet warm season. Late blight can wipe you out quickly. I truly believe that if you get the organic matter in your soil up using compost and green manures, you will avoid many of these issues because high organic matter content soils can take extremes in weather much better. I can literally see the improvement in our soil each year. “I call myself still in transition (from organic to biodynamic; we’ve never been conventional), since I’m not yet to the point where I can completely dispense with these things. Even if you get to that point, your plants can still get stressed by weather, and then you’ve got to have some tools to deal with it. Of course, I also use the biodynamic sprays for stressed plants. We will use the horse nettle and horn silica in the next two weeks. I’ve not yet tried the biodynamic remedies for insects, simply because I’d rather get my plants healthy. For now, the insects and diseases tell me things, so I want to hear what they have to say. I can see which varieties have weaknesses (e.g., the hornworm has only shown up on two types of tomatoes so far and only about half of the tomato varieties are showing signs of blight). So my goal will be to strengthen the seed for next year, and to continue to improve the relations between soil, plant and sky. While growing biodynamically should also improve seed stock, there are ways of preserving the seed using biodynamic preparations that should strengthen the seed even more. Each week I make the trek from my farm in Rappahannock County, Virginia to Bethesda, Maryland and back at least once and some times twice. My pulse quickens and my back aches as I join the legions of drivers that choke the beltway that rings the throbbing city of Washington. Brake lights glow and tensions mount as the traffic choke hold squeezes onto highway 29 in Gainesville where big box retailers line the crowded route into what was scarcely 5 years ago empty pasture. There’s not much relief from this rolling tide of misery until one leaves Warrenton and heads west. Then the neon lights of KFC and Wendy’s burgers give way to dark skies where one can actually see the stars. Cul-de-sac subdivisions fade away replaced by rolling pastures and houses not feet but often miles apart. Roll across the border with Culpeper and I am home again in genteel Rappahannock County with the last vestiges of proletarian squalor left behind me in my wake. Here we lived not as they do in the outer suburbs--piled atop one another--but comfortable in our ample spaces. Flying across the country in an airliner or driving through the rural Carolina of my youth I used to wonder why seemingly every inch of land is carved up into manicured squares of pasture, soybean, and corn. Certainly all of that land would produce crops and livestock that could not produce a profit if every landowner in America grew and raised such a seeming surplus of product. But 12 years ago I bought my own 65 acre farm and learned that if you own open land you cannot simple let it lie fallow for it will quickly turn into forest. So this blog is a narrative of how I began as a hobbyist and turned in a professional farmer. 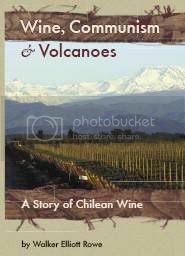 I started off slowly reading about viticulture planting a vineyard of 120 wines and producing a few gallons of wine. But then my hobby consumed me and I took a job tending another farm’s 2 acres of vines. 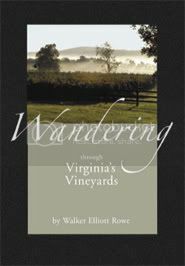 I bought part ownership in a winery, wrote a book about Virginia wines, and then went to Chile, South America for three months to work in a winery to write a book about the vineyards there. After a few years I started to look at agriculture as more than a hobby or part-time job and began to embrace it as a way of life. This was in part due to my study of Wendell Berry and organic farming. He like Thomas Jefferson before him argues that agriculture binds people to the land and builds communities. The whole notion of sustainable agriculture and organic farming mandated that I do more than just spray chemicals and mow the grass. I needed to learn about composting and dig deeply into soil science not just as a means of growing healthier vines, fruits, and vegetables but because it would allow me to be at peace with myself and in harmony with the land. If I were to follow organic farming principles I needed animals on my farm so I started a goat herd for profit and bought chickens to fertilize my fields and provide me with fresh eggs and meat. And as an armchair scholar I read deeply into the literature and visited lots of other farms. I wanted to cut through the hyperbole and vitriol and explain for myself and the laymen who had been sincere and who had been disingenuous in the raging controversy around chemical farming, pesticides, and genetically engineered crops. I began to see a blog was in order, something to explain what was really meant by “organic” and describe for the suburb and city dweller the process of farming so they could decide for themselves whether all pesticides were a danger and how food was actually produced. This blog is not written by a journalist who “doesn’t know how to grow a tomato”---I am a working practitioner. 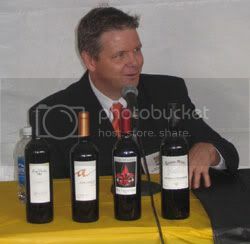 So looking back at the beginning let me explain how I started my first vineyard but first let me explain where I live. The county where I live in Virginia is different than those that surround it. It is just beyond commuting distance from Washington, D.C. at the edge of the Appalachian Mountains. Because it is stuck in a corner, it is on the road to nowhere. No major highway passes through the area. The two highways that do cross the county end in steep mountain passes; so we are free of truck traffic. In Rappahannock County tight zoning laws, volunteer conservation programs, and tax policies that favor agriculture have kept the area for the most part free of development. Almost a third of the county is put into perpetual easement and the rest is divided up into tracts that cannot be divided into lots smaller than 25 acres. My own 65 acre tract cannot be divided at all because it is zoned conservation because of the slope of the land. Whereas in neighboring counties developers have gained the upper hand here the sentiment for environmental conservation and land preservation runs deep. There are laws here against outdoor lighting and as I write this there is not one traffic light, large grocery store, or fast food outlet. While farming is widespread in Virginia, this is not an agricultural paradise like California nor Chile. The summer is too hot. The winter is too cold. And August is generally too wet. Such weather causes ripening grapes to swell and burst, sugar content to drop and it breeds lots of fungal problems like bunch rot fungus. So we don’t grow olives, apricots, or oranges and while gardeners grow roses here they do much better in drier climates. 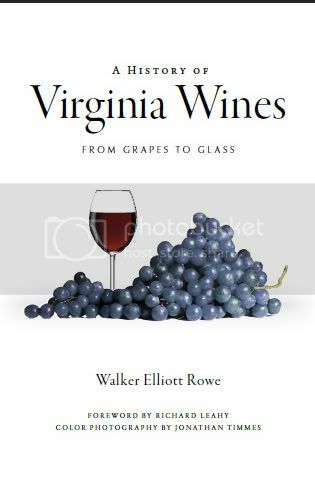 But for the first time in the past 100 years there are now more vineyards and wineries outside of California than within and more than 120 of them are located in Virginia. There are those that would say the best grapes in the world are grown in areas which often do not grow grapes well. 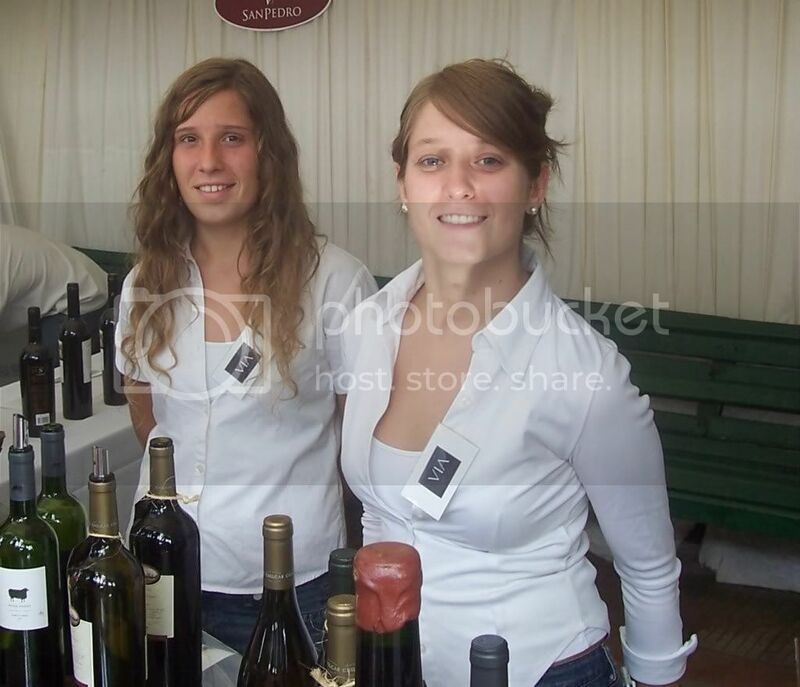 So it is with Bordeaux where sometimes it is too wet, too hot, too cold. California has the same weather year after year so the vintage variation in wines is not wide as it is in parts of the world that do not have a Mediterranean climate. When wine writers speak or great vintages in Burgundy they by implication suggest that some years were not too good and perhaps others were awful. 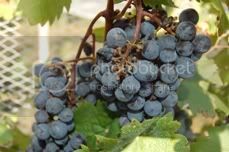 Let me explain to you the issues faced by wine grape farmers by example and let’s dive into the details of my own little vineyard called “Rosewood Hill”. My vineyard is pointed in the best direction for growing grapes. It sits on a hill between two pastures and has an eastern exposure. Viticulturists would say that the elevation and aspect and good. Elevation means height—grapes grown at 600 to 1,100 feet experience a thermal inversion where there is less possibility of frost damage than the colder air below. My vineyard is around 600 feet above sea level which is at the low end of the ideal range but its relative elevation is good for it sits above lower areas around it. A few years ago some pumpkins I had planted on a flat area near my vegetable garden turned black with frost. Cold air rolls down Bessie Bell Mountain—this is the mountain where I live—and settles into the low spots. Warm spring weather will coax fruit trees and grape vines into growing the first shoots of the season. These tender green growths will be damaged at 30 degrees and killed out right at 28 degrees so it is important to avoid a frost pocket. Vineyards which do not have an idea location use giant wind mills, helicopters, sludge pots, or overhead irrigation to combat freezing temperatures. Aspect refers to the direction in which a slope faces. My vineyard is flat on top, has a few feet of western exposure, and faces to the east in the larger section. Just north is my neighbor’s pasture a few dozen feet below. So the land could be said to have a mainly eastern exposure. A western exposure is bad because there is too much heat on that side and the early morning due does not burn off quickly in the sun as it does on the eastern slope. My vineyard had been pastures years ago. Grazing cattle had beaten down the brush and my neighbor Melvin Jenkin’s family, who used to own the land where my farm is located, had kept the brush sage mowed with a brush hog. But for 10 years or so the grass had been allowed to grow wild and blackberry, green briar vine, and poison ivy had taken over the fescue grass. I have watched for years the progression of growth of a forest when former pastureland has lain fallow. First in soil that is highly acidic red cedar trees will sprout. These hardy plants are native to the Virginia Piedmont. Their seeds will lie dormant for many years until their young shoots are allowed to leap above the fescue, rye, or bluegrass without the interference of the whirling brush hog, the farmer’s hay baler, or the crushing blow of a cow’s hoof. The tulip poplar is next to reach its head above the ground. These hardwoods are so plentiful on my farm I consider them a nuisance. They are easily split by the axe and as a young sapling can be chopped in half by a machete. Contrast that with a maple or oak which even as a young sapling does not yield even to the machete blade. The poplar tree does have one redeeming value, however which is their propensity to grow straight and without limbs at the lower level. The other eager tree which is among the first to regenerate itself is the locust tree. These wiry saplings emerge more like bushes that trees with a thick mane of green leaves. All of the locust trees on my farm appeared dead to me for several years. There must have been blight like the gypsy moth which killed all of the oak trees many years before. But the locsts were hardly dead for new growth emerged on hollowed-out trunks which had stood in the wind for years without showing any sign of life. Locust trees do not rot. So you can use them to make fence posts. When Barboursville Vineyard came to Virginia from Italy almost 40 years ago they made trellises from locus trees. Farmers today for the most part just buy pressure treated posts.